The Pet Fund is a registered 501(c) 3 nonprofit association that provides financial assistance to owners of domestic animals in the United States who need veterinary care. Often animals are put down or suffer needlessly because their owners cannot afford expensive surgery or medical treatment. Companion animal owners must often make the difficult decision to put an animal down or neglect medical needs because of the costs involved. While costs are an inevitable part of the responsibility of owning companion animals, The Pet Fund assists owners in covering medical costs beyond the normal expenses of vaccination, spay & neuter surgeries, food and routine veterinary care. Adopting a companion animal always involves both expense and commitment, and if owners have a resource to help with medical services, their animals can receive necessary care despite the financial costs involved. 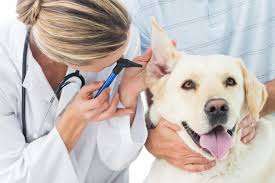 The Pet Fund works only on non-basic, non-urgent care, such as cancer treatment, heart disease, chronic conditions, endocrine diseases, eye diseases, etc. They receive over 200 calls daily from pet owners needing help, and typically have a wait list for assistance. Eligible pet owners can apply for a one-time grant which must be for already-adopted animals whose medical needs match the charity’s care category and wait list time. Pet owners must reside in the United States. If your animal requires either basic or urgent/emergency care, please read over the Additional Links for Help and Financial Assistance pages for resources for medical funding. If you have questions about eligibility for your animal, you can call (916) 443-6007. Or you can email [email protected].